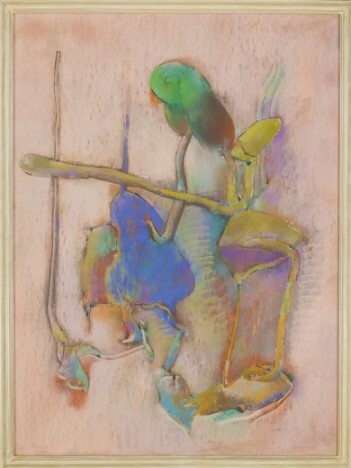 John Altoon, Untitled, 1964, from the Hyperion Series, pastel and ink on illustration board, 56 × 40 inches, Dr. David and Arline Edelbaum. © 2014 Estate of John Altoon, photo © 2014 Museum Associates/LACMA. Los Angeles County Museum of Art (LACMA) will present the retrospective of John Altoon. John Altoon is the first major retrospective devoted to this little-known yet important artist whose brief but significant career unfolded in southern California from the 1950s until his untimely death in 1969 at age 43. The exhibition includes approximately 70 paintings and drawings from public and private collections across the United States. Trained as a commercial illustrator as well as a fine artist, Altoon developed both an abstract vocabulary influenced by Abstract Expressionism and a figurative style (often erotically charged and with socio-political content) that reflected his commercial background. He also developed a hybrid style combining abstraction with figuration. A post-modernist before his time, Altoon had a facility with line, color, and subject matter that resonated with his peers and continues to resonate with artists today.